The Osun State Commissioner of Finance, Alh Bola Oyebamiji has condoled the Plateau state governor, Simon Lalong and the entire people of the state over the attacks by suspected Fulani herdsmen that occurred in Barkin Ladi local government area of Plateau State which claimed numerous lives. 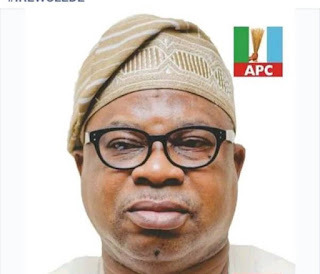 Oyebamiji, a governorship aspirant in the September 22 election in the state under the ruling All Progressives Congress condemned the massacre of close to hundred people in the state. He then called on security agencies in the State not to rest until those who committed the crime are brought to justice. While praying for peace and healing of the entire land, Oyebamiji described the wanton killing as inhumane and despicable. He said, "I am deeply shocked and outraged to hear about the attacks in Plateau which caused a large number of casualties. Such inhuman and despicable acts could never be justified by any reason, and I strongly condemn such. "I express solidarity to the Plateau State Government and her people. Furthermore, I also express my deepest condolences to all the victims and their bereaved families, and express my heartfelt sympathy to those who were injured in the attacks," said the APC Chieftain."